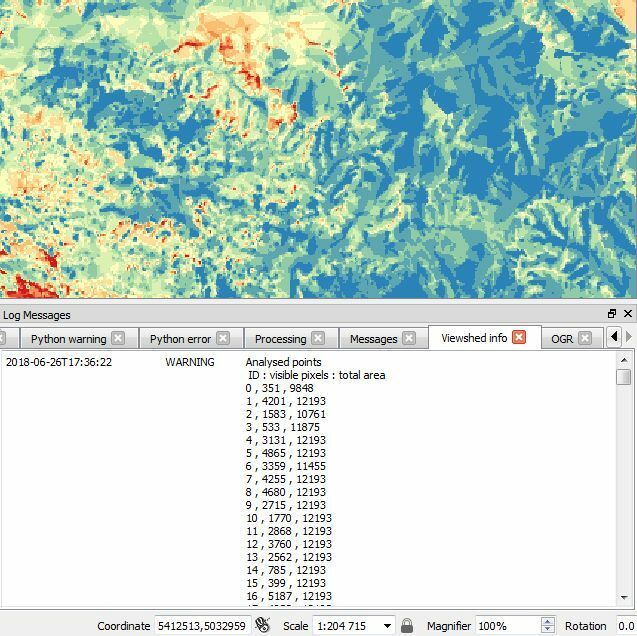 Visibility analysis plugin is now available in QGIS 3.0! It has been completely refurbished: from now on it will be integrated into the “Processing toolbox”. 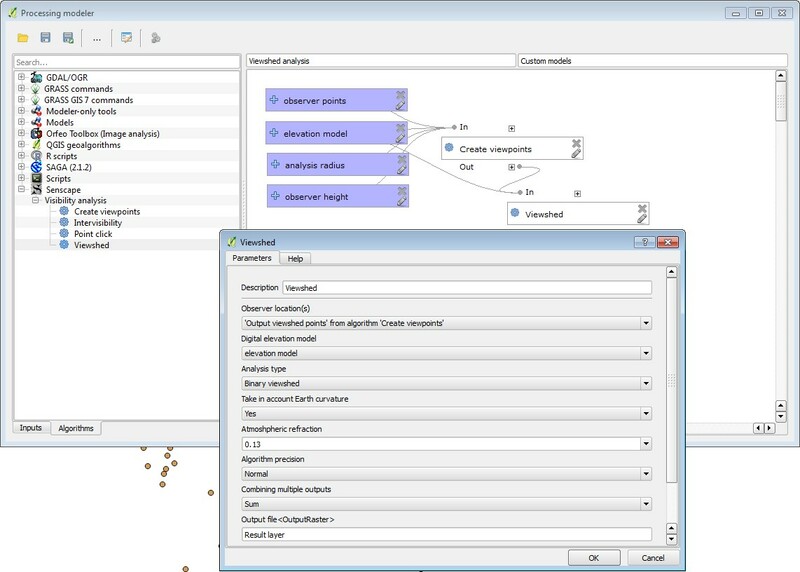 This is a more appropriate habitat for the algorithm because of integration with the QGIS toolshed. It can be now combined with all the fancy geoprocessing tools (GRASS, SAGA etc). Previous experimental versions for Processing were published as Senscape. The whole thing remains experimental, so please check twice the results and do report any issues you might find. Since handling multiple parameter and algorithm tweaks got rather complicated in Processing layout, the routine is now divided into two parts. 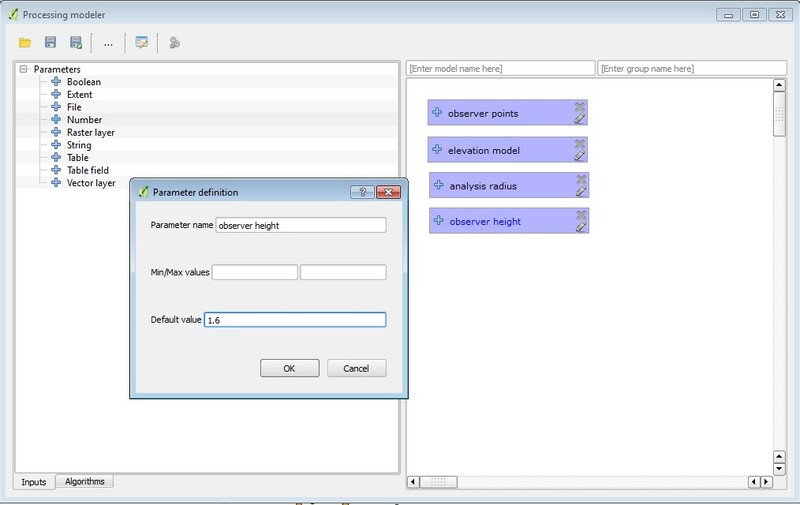 First, the observer points need to be created and assigned parameters such as observer height or analysis radius. These are, then, fed to the algorithm. 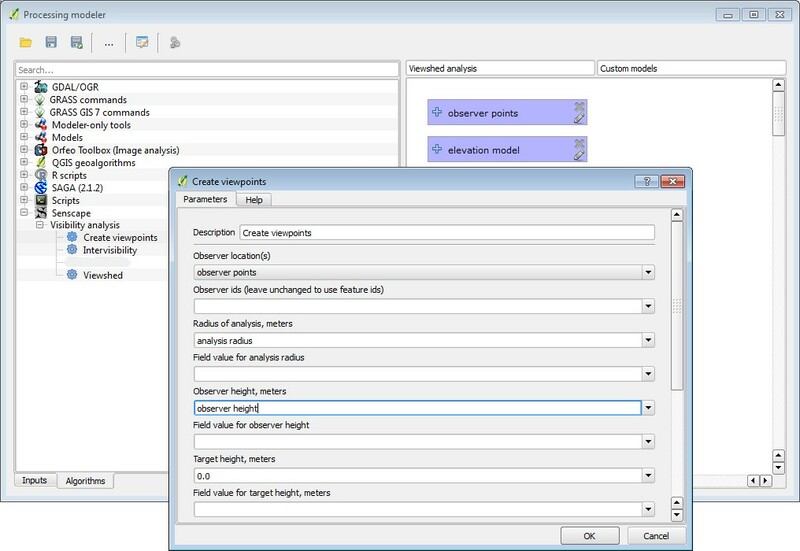 Once created, observer points can be modified along with accompanying parameters, but table field definitions should stay unchanged. In fact, all the algorithm does is formatting field names and data types (integer, float etc. ): this can be made manually, if necessary. The idea behind this architecture is to separate variable parameters from those specified globally, such as algorithm precision or Earth curvature. ESRI’s viewshed module takes a similar approach. The downside of the two-step routine is that it takes more clicks than the old Viewshed plugin … but here comes the Processing framework to our rescue! Let’s make it simple again and skip the process of creating observer points. 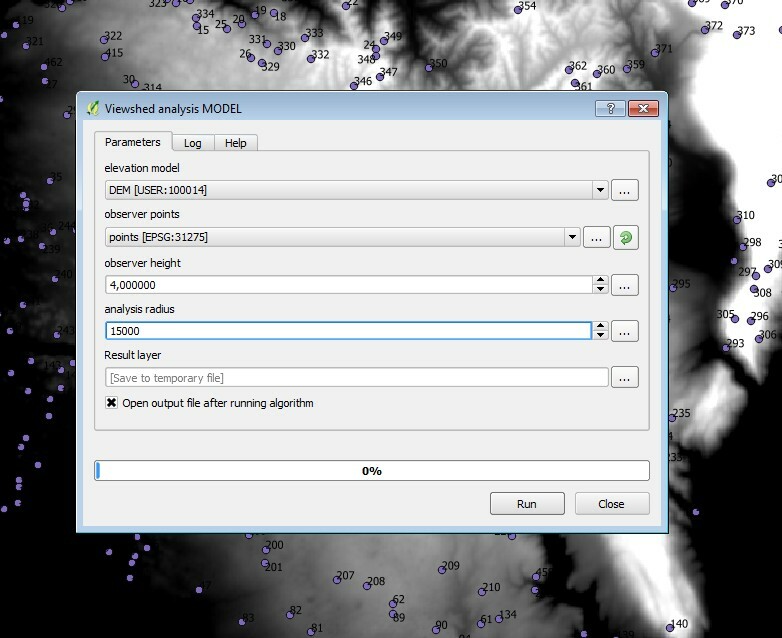 Open Processing » Graphical Modeller and create a new script. We will use some basic parameters: elevations raster and observer points (obviously), and global observer height along with analysis radius. And here it is, a super-simple (and customised) viewshed routine to be consumed without any moderation.